“A breathtaking panorama overlooking the Thames” helps makes the restaurant of this small boutique hotel “an exceptional choice in Richmond”. The cuisine is very “reliable” too, using “fine ingredients”, but there’s a recurring complaint: “the portions are very small” (“the dining room was full of ladies-who-lunch, and judging by their figures they don’t eat that much!”). Top Tip: “the market menu is good value”. “Smart and sophisticated, without being snobby” – the “really comfortable” dining room of this boutique hotel in Richmond on Thames, which boasts “a beautiful setting on the river”. Staff ensure you are “well looked after” and its “slickly prepared” food helps make it a logical choice for a special occasion. Top Tip – “the market menu lunch is exceptional value”; eat it on the balcony overlooking the garden. “A picturesque setting, with wonderful views over the Thames” makes this “romantic” Richmond boutique hotel dining room “an ideal spot for a long summer lunch”, even if “the food can vary from lovely to blah”. Top Tip – “the phenomenal value market lunch menu”. Have you eaten at The Bingham? 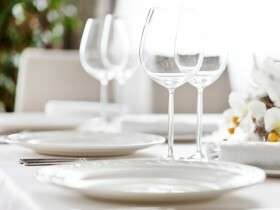 Reviews of The Bingham Restaurant in TW10, Richmond Upon Thames by users of Hardens.com. Also see the editors review of The Bingham restaurant. "Good food although the duck took a bit of chewing. Some soft furnishings would help when there are noisy parties which can make conversation difficult." Post your own review of The Bingham and contribute to our annual restaurant review guide.